The Gatehouse or the Howe-Childs Mansion is steeped in history and is one of the oldest structures in the City of Pittsburgh. Sota Construction Services was chosen early in the design process for the re-use of this 6,000 square foot historic structure that had been open to the weather for many years and had suffered extreme damage. 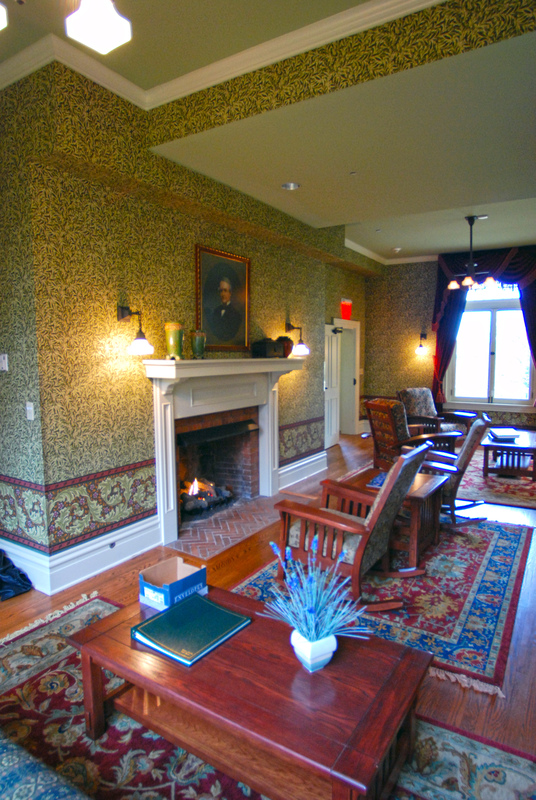 Now a welcome and guest center for this private higher learning institution, the restoration of this historic building was true to the original, though the work included installing state-of-the-art energy conserving measures and life/safety and mechanical/ electrical systems. Extensive structural work was required along with a particularly high level of interior finish work. The exterior restoration included re-creation of damaged and missing woodwork and the careful and complete removal of all existing paint at wood siding and trim, and re-painting. Recycled rubber “slate” was used with copper flat lock roofing, gutters and downspouts. 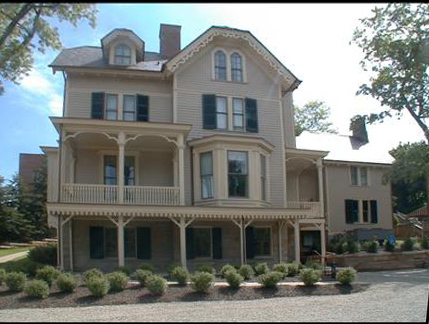 Custom windows were fabricated to match the originals while incorporating insulated Low-E glazings to conserve energy. 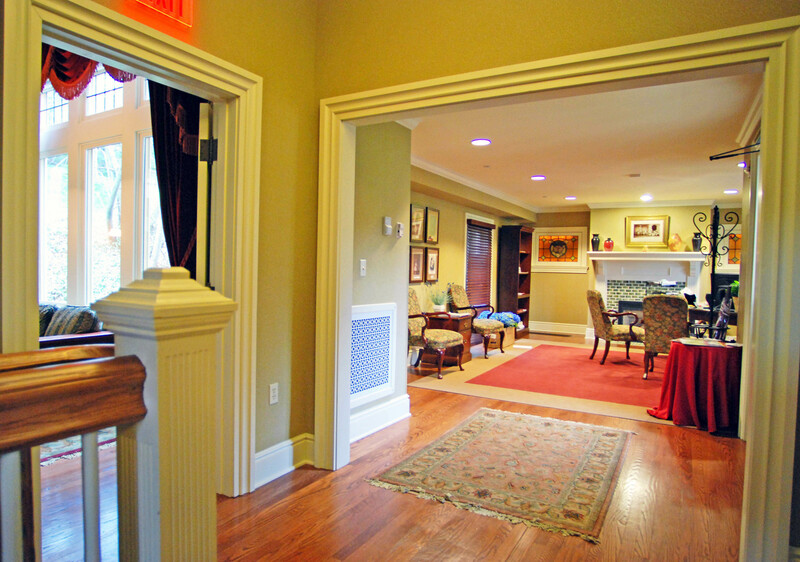 Custom millwork was fabricated both off-site and in the tradition of the Victorian era. Much of the millwork was fabricated on-site using modern equipment to produce siding profiles and miscellaneous custom wood trim parts. Stair spindles were turned on-site to match the existing pieces. This project received the 2004 Pennsylvania Historic Preservation Award from Preservation Pennsylvania and the 2004 Outstanding Preservation Project from the Historic Review Commission of Pittsburgh.